Well, strictly speaking tiles in place. 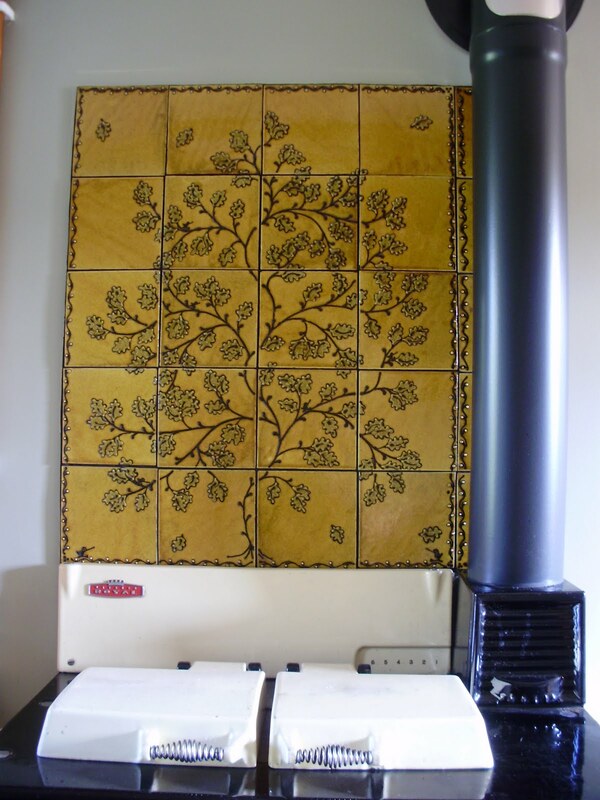 You may remember pictures of these tiles in the various stages of preparation, decoration and finish, and the picture of Dave and Sue looking at them in the farm yard at Spring Fling. Well here they are in situ in their kitchen, what do you think? I made tiles years ago while I was still working at Jason’s for my mum and dad’s fireplace, these are the first I’ve done since then. I am very pleased with them and miraculously they seem to even fit the space that they were supposed to fit into. Thanks for the pictures you two, I hope the tiles keep you happy for many years. This entry was posted in back, Craft and Design Magazine, neck, tiles. Bookmark the permalink. I'm sure you've getting frustrated. Hang in there. Like you said, you have plenty of pots. I know what you mean about wanting some new things for a show though.The tiles look Great!! Well done. Looks like they have some nice pottery in that side cupboard. 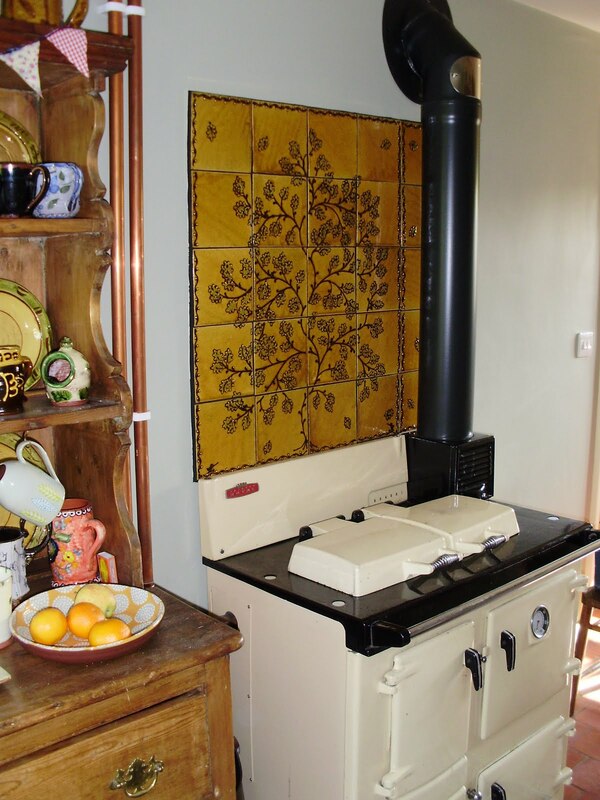 Perhaps Lady Gaga should have a name change to Lady Aga and represent the wood burning stove fraternity!! Is that a Katrin Moye bowl on the dresser? Yes, and a jug above it. What else can you identify? A Mary W jug and some Fitch plates.Whose is the tenmoku mug at the top?